Your iPhone already makes it easy to stay in touch with your friends. 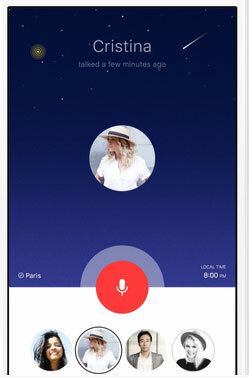 Roger for iPhone takes it to the next level by letting you communicate with your friends walk-talkie style. The app lets you connect with your friends with a simple touch. You can talk as long as you want. The app lets you see your friends’ location, weather, and time of day. To get started, you will need someone’s phone, even if they don’t have the app installed. The app shows status when the other party has listened. This is a universal app.